Glen bed and breakfast travel guide for romantic, historic and adventure b&b's. 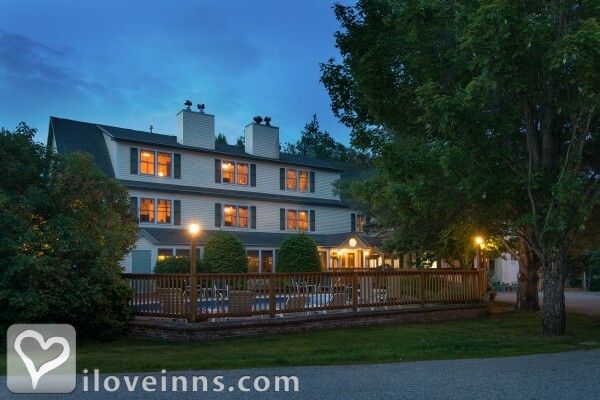 Browse through the iLoveInns.com database of Glen, New Hampshire bed and breakfasts and country inns to find detailed listings that include room rates, special deals and area activities. You can click on the 'check rates and availability' button to contact the innkeeper. Glen, NH lies in the White Mountains Area of New Hampshire. Story Land, a popular theme park is here as is the Saco River, a favorite kayakers and boaters. The White Mountain National Forest provides many opportunities for mountain biking and hiking. Glen bed and breakfast inns tend to be busy with guests in winter because of the ski resorts around the area. For romantic dinners or for those with the family, visitors in Glen can try The Red Parka Steak House and Pub, Margarita Grill, and Thompson House Eatery. By Bernerhof Inn Bed and Breakfast. Nestled between North Conway and Jackson New Hampshire, Glen offers proximation and quaint village settings on the Saco River and near beautiful Attitash Mountain attractions as well! By Bernerhof Inn Bed and Breakfast.